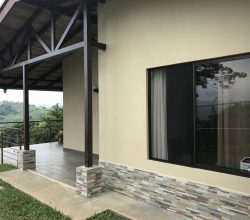 [slideshow] The Oceano Jaco Beach condos hotel in beautiful Jaco Beach, Costa Rica offers you the latest in affordable, luxury living. Combining the best of both worlds, the Oceano condotel is set up as a boutique hotel containing fully-furnished 1 and 2 bedroom condos. Residents get all the benefits of hotel living, such as a beauty spa, modern fitness center, pool side café with room service, jewelry shop, 24 reception service, Jacuzzi, large pool with tropical landscaping, and 24 hour security—all this while still maintaining their own space and privacy in a gorgeous and affordable condo. The hotel’s design is centered on the different levels of the ocean, and each individual level features stunning decoration. The boutique hotel is set up to create a luxurious, one of a kind experience, as well as deliver a high return on investment for buyers. This ownership experience allows you to use Oceano’s professional hotel team rent your condo while you’re away, making the Oceano condos both a great investment, as well as an excellent source of income. The Oceano condotel will provide the best value on the Central Pacific Coast, with rental rates starting at $115 per night. The hotel itself prides itself on exceptional amenities, better finishes, and lower prices than any other hotel in the area, which allows owners to earn up to 10% ROI, courtesy of Oceano’s professional rental department. In fact, each condo only needs 33% occupancy to cover all of your expenses, including your mortgage payment! Situated in Jaco Beach, Costa Rica, the Oceano condotel is in a prime location, just a short walk from both the town center, with its many restaurants, bars, nightclubs, and shops, and the lovely 2 mile stretch of sandy beaches. Jaco, Costa Rica is renowned for its year-round consistent surf breaks, and the area is bedecked with colorful tropical flowers, palm trees that sway in the warm ocean breezes, and jewel-bright blue ocean waters. 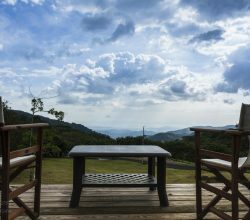 In the distance, the forested mountains can be seen, and many jungle critters, such as monkeys, iguanas, scarlet macaws, and toucans, will become your friendly new neighbors. 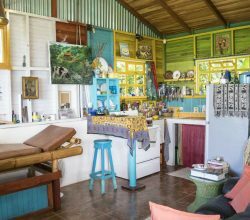 With the fantastic new highway, Jaco Beach is just a scenic an hour and a half drive from sunny San Jose and the Juan Santamaria International Airport, making it a breeze to visit the city, go shopping, or jet set off to visit friends and family. 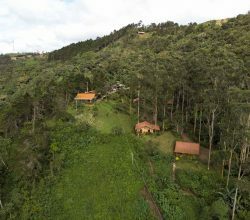 Jaco offers only the highest quality tours and services, and its proximity to the tropical rainforest makes it easy to spend a day ziplining, ATV touring, horseback riding, or enjoying any number of other eco-adventure style tours. Jaco is also well-known for its vibrant and fast-paced nightlife, as well as for having a rich artistic culture. In fact, in the last several years Jaco Beach has celebrated several different music and art festivals, and many art and craft shops line the streets. At walking distance from both the beach and downtown Jaco, the Oceano condo hotel makes it possible for you to live your dream life on the beach. Wake up with the sun, grab your board, and hit the waves for a day of surfing, or put on your fanciest beachwear and go out for a night on the town. Feeling tame? There’s even a massive new movie theater, so you can catch the summer’s biggest blockbusters and enjoy some buttery popcorn. There’s simply no end to what you can do and see in Jaco, and the Oceano condotel gives you a front row ticket to all the action. 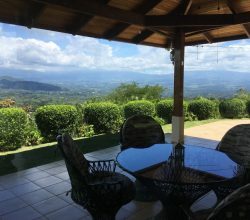 With 46 stunning units, exclusive penthouses, and oversized units available, you can’t afford to miss out on this once in a lifetime opportunity to escape to Costa Rica. Those residents already living in, renting out, and enjoying their Oceano condos are completely satisfied. Juan Pablo, a condo owner and pilot for Taca airlines, had this to say about his experiences, “Oceano felt like the perfect fit for me because I will have my own place at the beach for my days off, but most importantly, I will have a steady income without needing to become involved.” The Oceano condotel is the ideal arrangement for investors, who will have a gorgeous condo in Costa Rica to come home to and a hotel full of amenities to enjoy, as well as a prime piece of real estate to rent out and earn them an income. 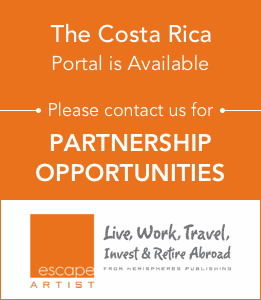 This is an incredible opportunity to buy your dream vacation condo in Costa Rica. Start living a life of Oceano luxury now. To speak with an agent about the Oceano Jaco Beach condos investment opportunity call 866 403 1345 or click here and we will contact you.